Because, like income taxes, happy hour will still be in existence after the Zombie Apocalypse. Pour the ingredients into a cocktail shaker filled with ice and shake until well chilled. 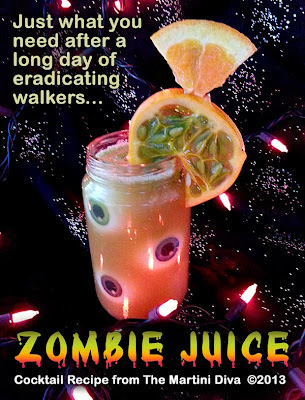 Pour into whatever kind of glass you can scrounge up after the apocalypse and garnish. 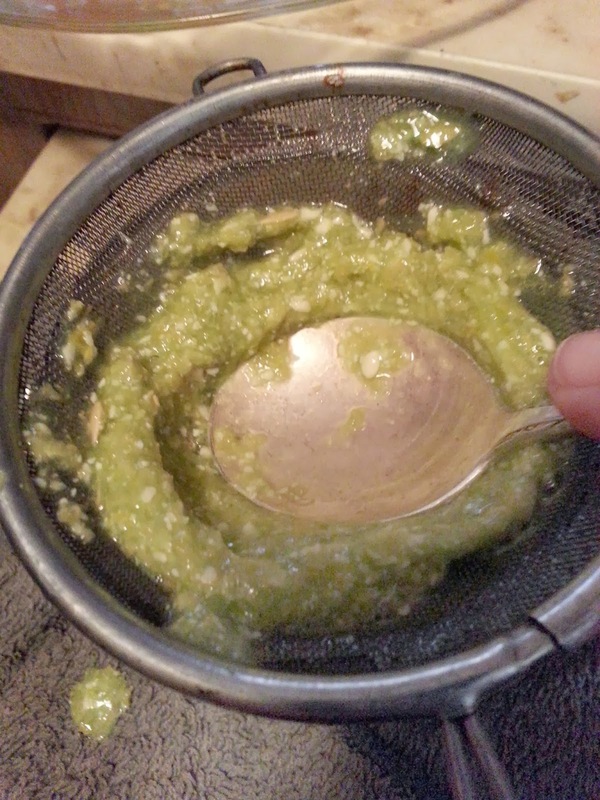 It took two kiwanos to get the 2 ounces of juice, but I think it's worth it as the slightly cucumber taste of the horned melon fruit balances out the sweetness from the other juices and the apricot brandy. Many people use passion fruit (not one of my favorites) instead of kiwano, so feel free to substitute the exotic fruit of your choice. Just remember that each one of these fruits will bring their own distinct flavor to the cocktail. Thanks again to Frieda's for the lovely Kiwanos! 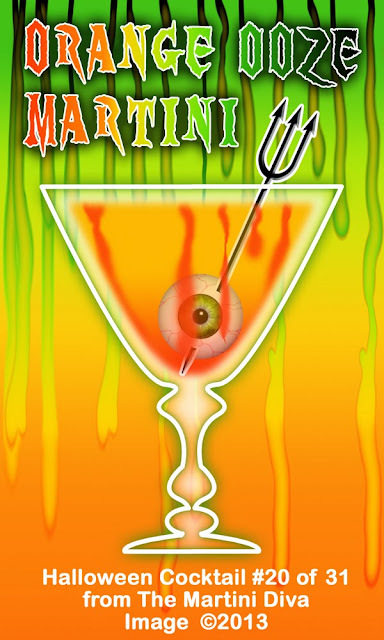 This is a perfectly fun cocktail for those Walking Dead parties on Sunday night! P.S. You can set fire to the 151 rum float, but don't be surprised if it attracts the walkers! P.P.S. The extra 151 Rum would make excellent fuel for a zombie crisping flame thrower. Enjoy and remember "walk softly and carry a big SHARP stick"